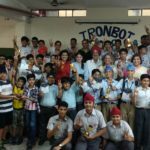 To mark the Silver Jubilee Celebration, SSICS hosted an Inter School Robotics Competition-IRONBOT 2018 on 28th July, 2018. 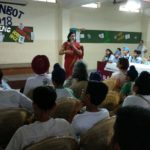 The event which aimed at bringing awareness among students about the latest technology regarding school level robotics and their applications saw the young minds visualizing , thinking, managing and solving problems related specifically to the field of Robotics Engineering and Science. 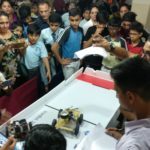 There were in all four events for two categories- Lego Robots Category and Open Category. More than 50 participants from 15 different schools of the Tricity enthusiastically exhibited their skills as they vied against each other to clinch the top positions in the various segments viz. Robo Race, Tug of War, Robo Fight and Web Designing. The athletic power and brawn of Robos were showcased through the events of Robo Fight, Robo Race and Tug of War. ‘Digital India’ a web designing competition brought out the innovative potential of the participants with the winners.